Whatsapp trick latest news and it’s feature. New York : One of the best features used in Innovates app used as Innovation and Messenger in the technology world, has been replaced by a button that will allow you to move from video to video call through a button. There is an increase in the world of Whats app technology, which has increased the number of users over time and the number of daily users reaches more than one billion. According to the Independent Reporter, this new feature for the beta version of Android Is. According to the report, if you're calling Watts app voice and want to go to video call, you'll only use one button as soon as you want to get the desired feature. The application will be received if you want to talk to the video call instead of Voice Call, if the person on the other hand approves your request, a video call will begin. Remember that there was no option to move video call during voicemail before, and the call had to be disconnected. In addition to this, the Whats app is a feature that will bring you a feature through which you Chat will also be able to take advantage of video calls, before there is a Wi-Fi call facility on the Whats app. 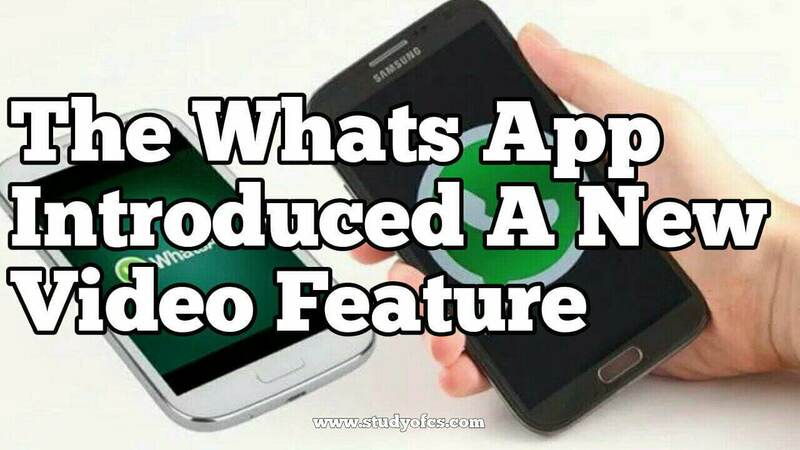 Currently this feature is available to users who have signed up for the Whats app's beta version.